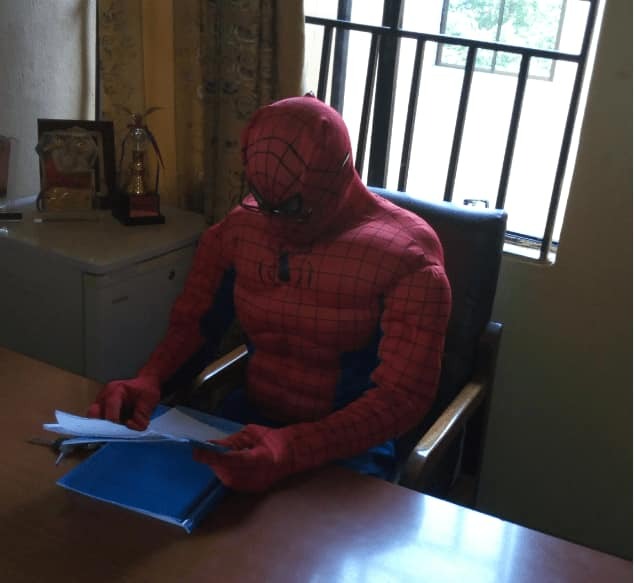 The students remained in a state of shock after a professor from Chukwuemeka Odumegwu Ojukwu University in Anambra was turned into Spiderman. 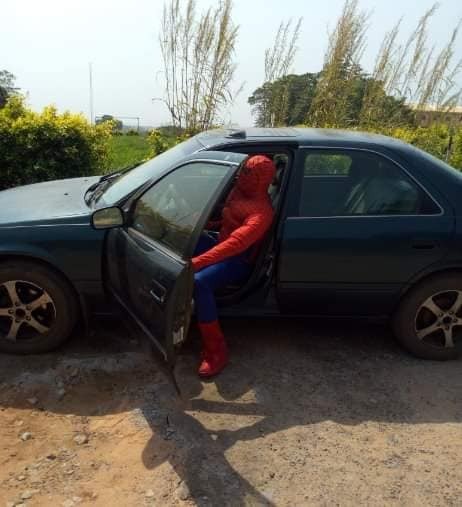 It was a surprise for students and lecturers as a lecturer from Chukwuemeka Odumegwu Ojukwu University in Uli, Anambra, “transformed” into Spiderman to attend his students during the ongoing ASUU strike. 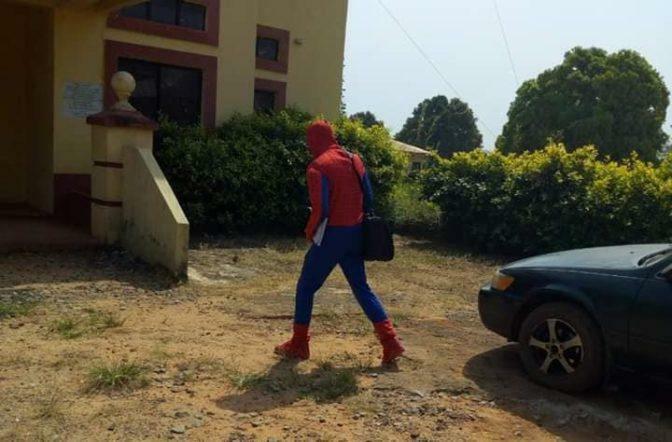 The lecturer was spotted Wednesday, December 5, 2018, penetrating majestically into his office in Spiderman’s costume. It was determined that some non-teaching staff members present when the incident occurred were stunned to see a man in Spiderman suit entering the office complex. When they greeted the lecturer and gave him his name, he ignored all greetings, claiming to know no one since he was not “human”. He opened his door, walked in and sat, waiting for students to ask him to wait for ‘Spiderman’ to help them. The lecturer had told some students that he is an important member of the Academic Staff University Union (ASUU) who had been on a national strike for a month. According to sources, part of his M.Sc. students wanted him to discuss definitively with him before the defence of his thesis, which was to appear immediately after the start of the ASUU strike. They wanted to get ready before that, because ASUU had serious discussions with the federal government and the strike could end at any time. In order not to violate the ASUU guidelines that required lecturers to stay out of academic work during the strike. The lecturer decided to “turn” into a Spiderman, probably on a rescue mission, so that he could help students as superhuman, not a union member.